Tincan is equipped to service all kinds of events within the Lexington and surrounding area including your wedding, party, celebration, business function, or promotional event! 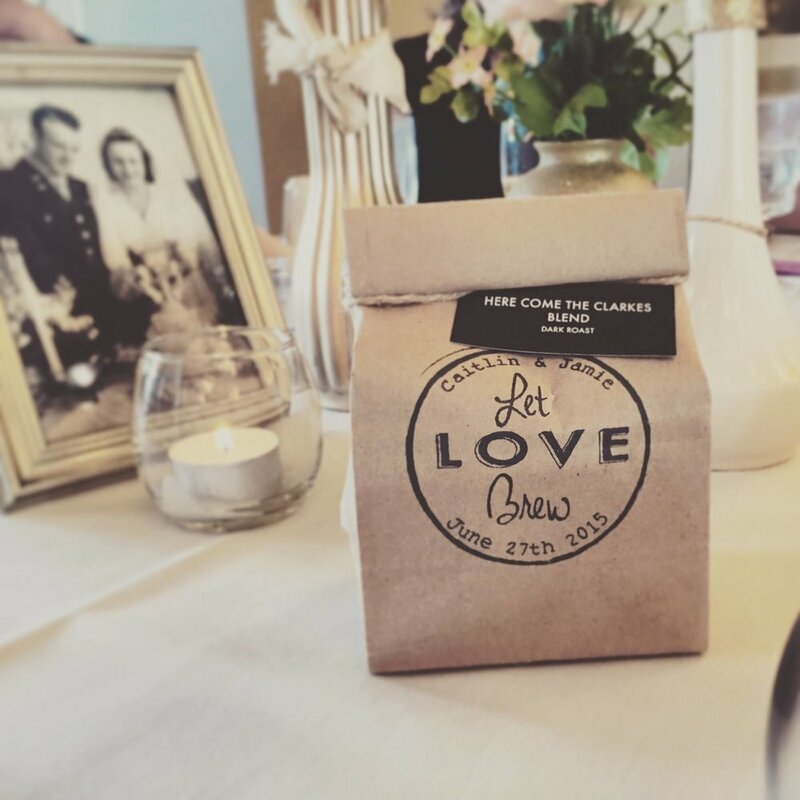 Send your guests home with warm wishes and freshly roasted coffee. The customized stamp provides a unique touch to any wedding! We roast in house and source as directly with each farm as possible. Each bag is filled with 4 oz of freshly roasted coffee. The bags are all hand stamped, folded and tied with twine.